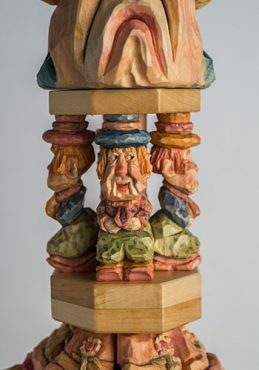 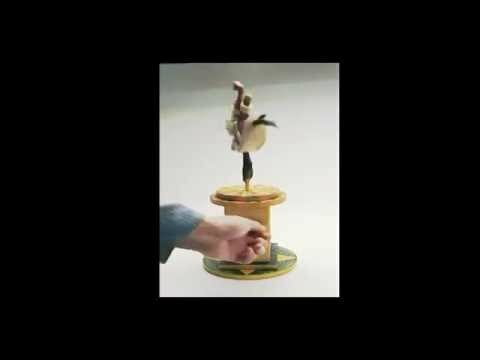 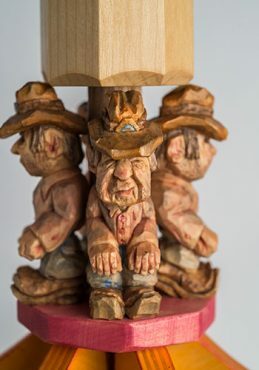 When a carver wants to add motion to his carving, where does he go for advice? 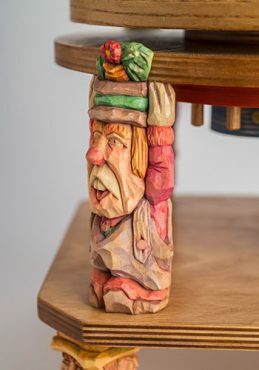 To an engineer friend turned carver, of course. 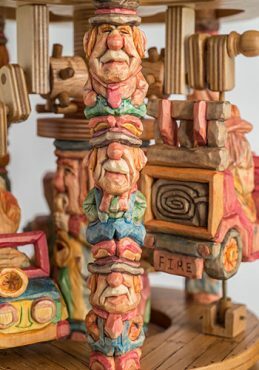 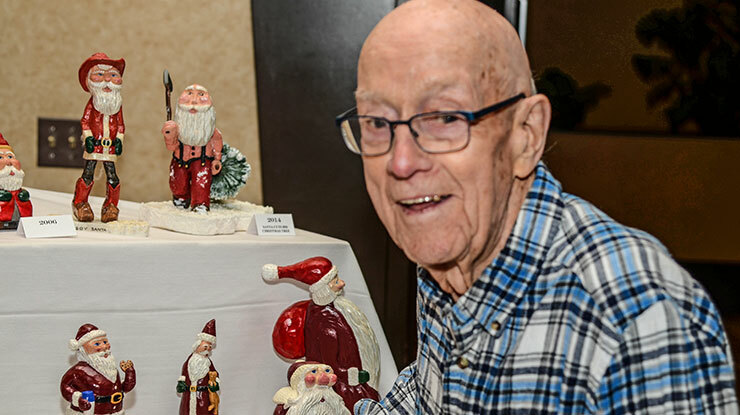 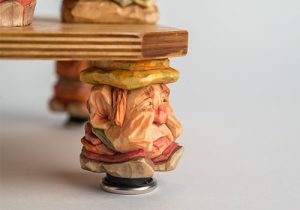 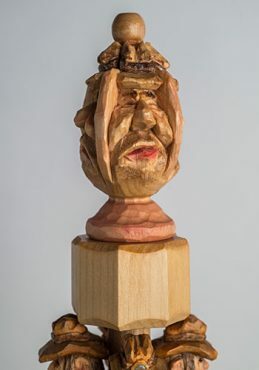 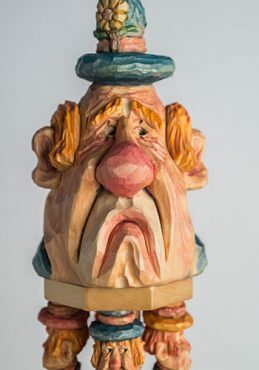 That’s exactly what caricature carver Bruce Stake did—he reached out to his friend Bruce Longenecker, who helped work out a simple but effective mechanism. 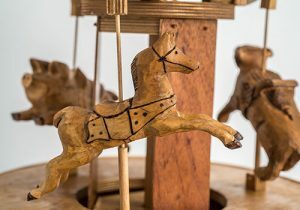 Bruce has created several carousels, including a classic circus theme and a wild west theme. 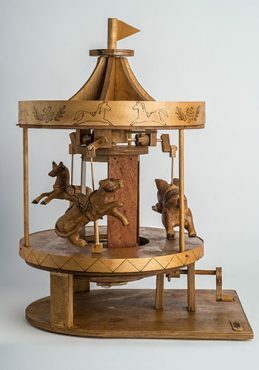 Bruce Longenecker’s carousel features the classic horses. 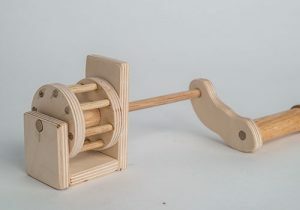 Together, the pair created a mechanism that costs less than $100 in materials, but requires a bit more of a time investment. 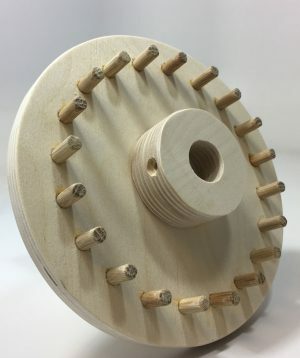 Bruce Longenecker designed the mechanism based on classic spur and hole gears. 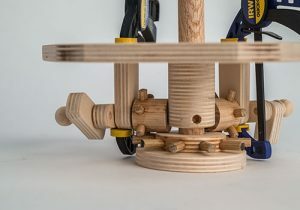 This design avoids finicky (and fragile) interlocking gears, but does require precisely drilled holes and properly aligned spurs. 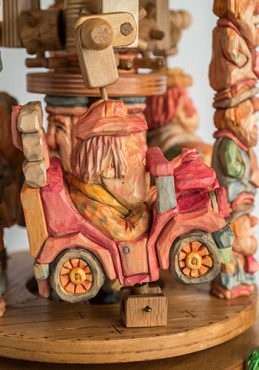 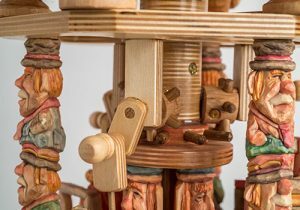 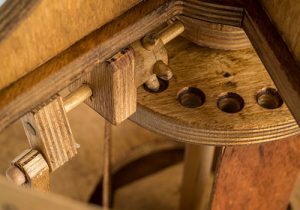 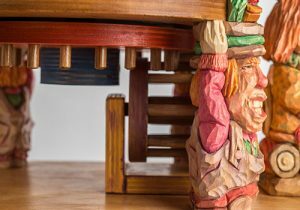 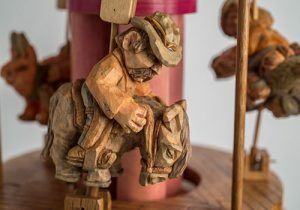 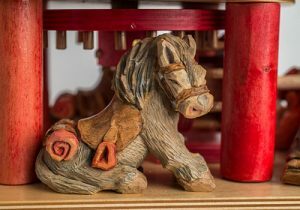 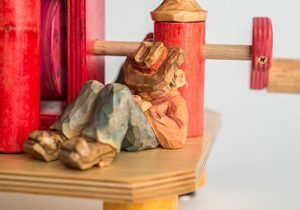 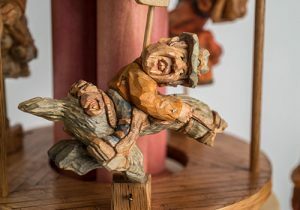 After showing off the carousels at woodcarving shows, Bruce Longenecker said he’s had requests for more information about the mechanism. 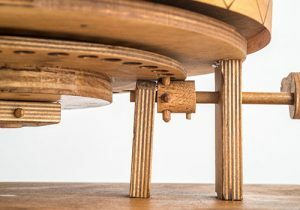 The mechanism has been refined several times to make turn more smoothly. 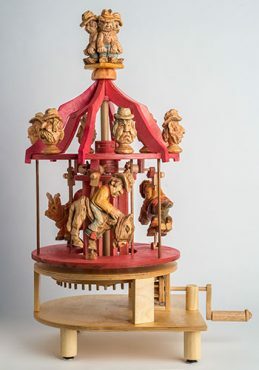 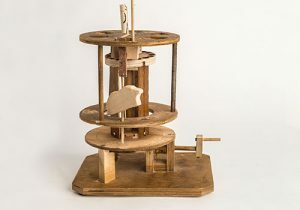 Bruce Longenecker still has his initial prototype that he experiments with to add more mechanisms and actions to the carousels. 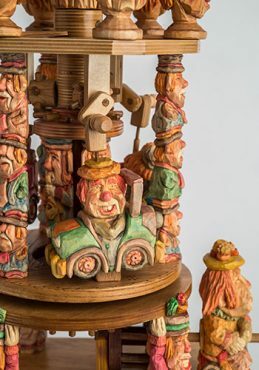 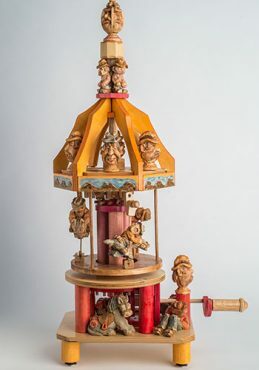 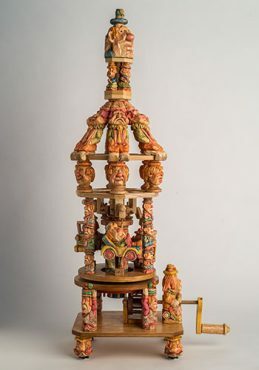 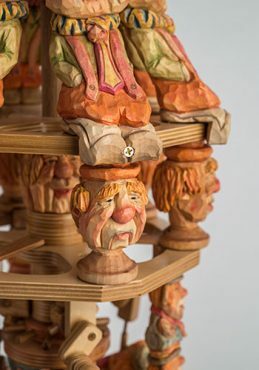 A recent carousel by Bruce Stake embellished liberally with clowns.